Conrad’s past artworks include The Dappled Light of the Sun from 2015 which was a large-scale immersive work consisting of five steel, cloud-like forms, a permanent public art piece for the Francis Crick Institute last year called Paradigm and an ongoing series called The Ada Project, which takes the form of musical commissions between Conrad and contemporary composers, where each piece of music has been developed using a bespoke, choreographic light robot, developed by Conrad and his team in his London studio. 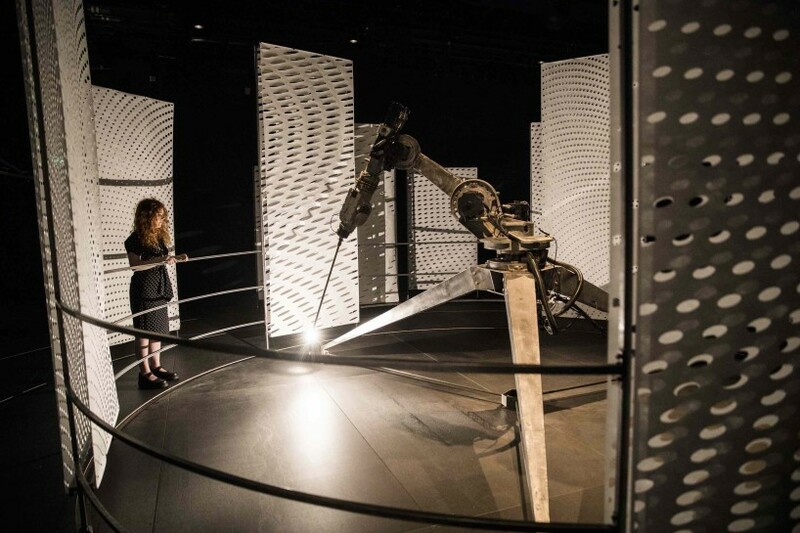 This robotic technology has informed Conrad’s new artwork for the Barbican’s summer spectacular, Into the Unknown: A Journey through Science Fiction, which is an exploration of one of popular culture’s most celebrated realms. Conrad’s installation, titled In Light of the Machine takes over the Barbican’s Pit, which is usually a theatre space.